Over the past decade, more and more mattress brands have appeared on the market, offering new blends, constructions, and comfort levels for shoppers to choose from. Which one is right for you? With consideration to your budget, we researched and reviewed the top rated mattresses that fall within your budget. 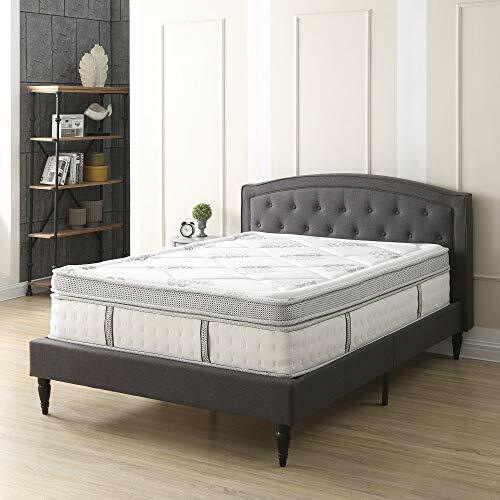 We mainly looked at queen size that fall under this price class, but you can expect all types of mattress materials were reviewed and only the best were included in this guide. How it sleeps: The mattress sleeps good. It’s the right amount of firm, yet soft. Some lighter weight sleepers may find the mattress can expect the mattress to feel much firmer than how it’s been described on the product page. It does the job for back pain and is great for side sleepers. The mattress does need time to soften up and expand. 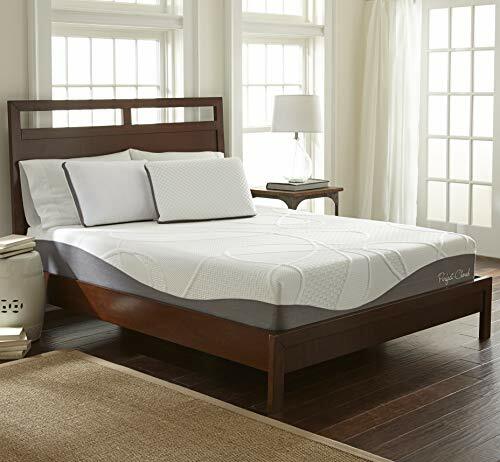 You can expect a well-regulated sleeping temperature throughout the night thanks to the gel and aerated top thick layer memory foam. 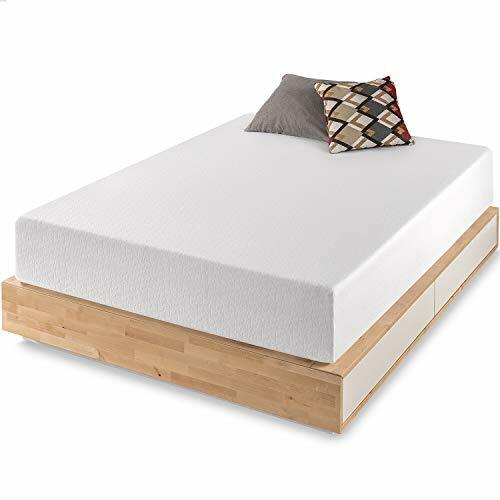 Construction: Tencel blend fabric cover, with 3-inch aerated gel memory foam top layer, 1-inch bamboo charcoal memory support foam, and 8-inch high density foam base support. Additional info: Six available sizes: Twin, Twin XL, Full, Queen, King, Cal King. Safe use: CertiPUR-US certified for product safety. 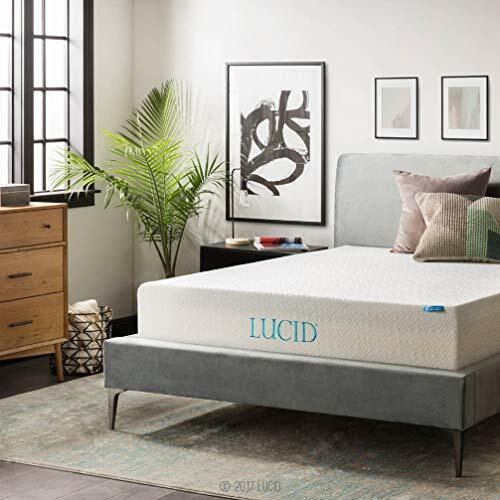 Overall: The Lucid Plush Gel Mattress is a well designed bed for a cooler sleep, with its memory foam infused with gel to absorb heat and aerated for airflow. The “plush” in its name is not the accurate description; we describe it more of a medium-firm comfort level. The only drawback, which comes with all memory foam, is the initial chemical smell (off-gassing). Be sure to let it air out for a few days. How it sleeps: Cushion-y feel. The mattress comes soft to sit on and sleep. It is not an entirely plush, but is more of a medium or medium-firm comfort. It does feel stiff at first, but does get soft with just enough sink over time. It may not be as cool as an innerspring bed, but the gel and open-cell structure makes the UltraPlush a suitable choice for those who enjoy memory foam. Construction: Mesh gusset stretch knit cover, wrapped around three layers. Top layer is 1.5 inches of air-infused memory foam, 2-inch “gel-max” gel-infused memory foam mid layer support, with a 6.5-inch high-density base support foam. Additional info: Available in six sizes: Twin, Full, Short Queen, Queen, King, California King. The mattress is manufactured in China, with materials from Germany and USA. Sleepy trial: 30 days, backed by Amazon. Overall: Like many memory foams, the Perfect Cloud UltraPlush mattress does need a few days to air out. It has a chemical smell known as off-gassing, similar to the new car smell or freshly painted room. The soft touch with just enough sink makes the bed suitable for those who need pressure relief, but without giving up too much on firmness support. How it sleeps: Compared to the UltraPlush Mattress, the Atlas does a better job at providing adequate temperature regulation because of how well it breathes underneath. There is an odor to it for when you unwrap the plastic, which takes around a week to completely air out. For those who are sensitive to smell, be warned! Otherwise, the bed is very comfy albeit a little harder than expected. It does get softer after more use. Construction: Removable stretch knit cover, with 3-inch “Gel-Plus” gel-infused memory foam top layer, 3-inch grid-like mid layer support foam, and 4-inch grid-like base layer. Additional info: Available in three sizes: Twin, Full, Queen. The mattress is manufactured in China, with materials from Germany and USA. Overall: The Atlas Mattress lives up to its job of being a cool-sleeping bed. We do wish there was a king and California king size. It might be too firm for side sleepers, but does sleep amazingly well for back and stomach sleepers. 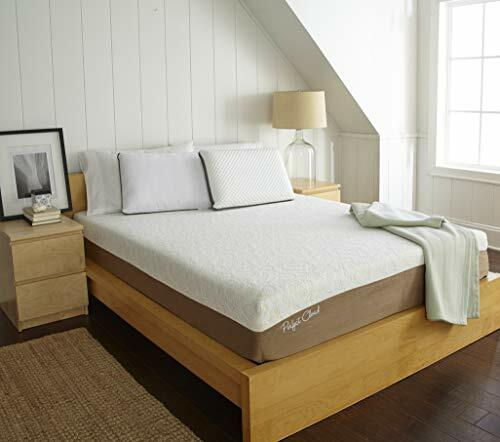 How it sleeps: The Cypress Mattress is softer than most mattresses, and if you enjoy soft beds, be sure to check out the 13-inch with the extra comfort cushion layer. The mattress sleeps as a medium-firm, which makes it great for pressure relief for side sleepers. Back sleepers can also enjoy the mattress who need a more forgiving sleeping surface. It does a great job at conforming to your body comfortably. Construction: Examining the 11-inch queen, we find 2.5-inch gel memory foam as top layer, 2-inch ventilated mid layer support foam, and 6.5-inch dense base support foam. The layers are wrapped in a removable wool-lined zipper cover. Additional info: Six available sizes: Twin, Twin XL, Full, Queen, King, Cal King. The mattress is manufactured in the USA. Overall: If you need a soft memory foam, the Cypress is top of the line under a reasonable budget. There is a strong odor, but does go away like most other memory foam. The wool cover does a great job minimizing the smell as a natural material, but the foam part will need time to air out. It will also need some time to fully expand and decompress. How it sleeps: The mattress can be very firm, despite choosing the thickest profile. Side sleepers or those who are absolutely not a fan of firm mattress, the mattress won’t be for you. However, for those who enjoy firm mattresses, sleep on their back, stomach, or in need of back pain support, the Ultima is a very suitable choice for a happy sleep. Thickness: 8-inch, 10-inch, 12-inch, 13-inch. Additional info: Six available sizes: Twin, Twin XL, Full, Short Queen, Queen, King. Overall: The mattress offer a great selection of sizes and profiles (thickness). We find the Ultima to be a great value, with its awesome airflow and bouncy sleeping surface. The bed can be a bit noisy for tossing and turning at night, and does transfer motion. Otherwise, the very firm sleeping surface combined with its springiness can make it a good choice for many types of sleepers. How it sleeps: The mattress does a pretty good job sleeping cool without heat trap. They do come firmer than expected, but seem to soften up after use. The bed also takes some time to fully decompress and expand to its maximum shape. It is very support and a little hard for side sleepers, but back and stomach sleepers can enjoy the firm support. Heavy-set sleepers can enjoy the firm support. Construction: Two layers wrapped in a poly-cotton blend cover (two options available: quilted and smooth design). The top layer is a 2.5-inch “SureTemp” memory foam with a base support layer of 9.5-inch “Support-Plus” foam. Additional info: Five available sizes: Twin, Full, Queen, King, California King. Made in the USA, with the cover imported from Canada. There is a 10-inch profile known as the Shea Mattress found here. 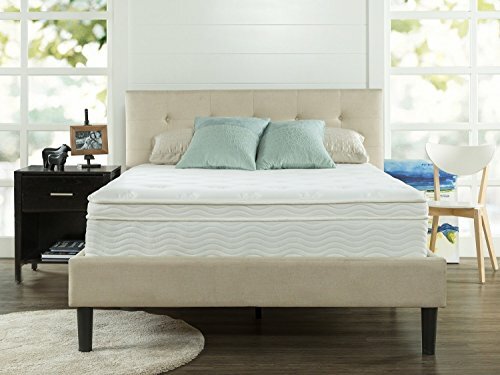 Overall: The Shiloh Mattress and its unique blend has made it to be one of the more popular mattresses in this price class. It has minimal odor despite being memory foam material. The bed also does a great job at NOT trapping heat so you can expect to sleep well during the night. We would recommend the smooth cover for a completely flat surface, but if you feel frisky the quilted cover is a very distinguishing design. How it sleeps: The Best Price Mattress is a popular selling mattress in the price class. It feels good, without feeling too firm or soft. It does sleep a little warm, but not too hot unless you live in a very hot place. It does need time to air out as it has an initial odor (off-gassing) to the bed. Otherwise, it feels comfortable, and can be great for all types of sleepers and sleeping positions. Thickness: 6-inch, 8-inch, 10-inch, 12-inch. Construction: The mattress is wrapped in a polyester cover with a jacquard weave. There are three layers within the mattress for all profiles. The top layer is 2.5 inches of charcoal-infused memory foam. The mid support layer is 3 inches of aerated soft foam. The base support layer is 6.5 inches of high-density foam. Additional info: 6 available sizes: Twin, Twin XL, Full, Queen, King, California King. Overall: The Best Price Mattress is one of the more interesting mattresses with charcoal and aerated soft foam use. It gives a combination of firm yet soft support that can be suitable for many sleepers, which would explain why it is so popular and well received by shoppers in the first place. If you aren’t too sure what mattress to pick, and enjoy memory foam, this would be the bed for starters. How it sleeps: Despite its supreme thickness compared to other mattresses, the Gramercy sleeps very firm for a hybrid. A large part of it has to do with the cushioned softness with multiple top layers of thin foam. It does sleep cool, have noticeable off-gassing smell that needs time to air out, and can support even the heaviest weight of sleepers. You should expect the bed to be firmer than you think. It is a good choice for back and stomach sleepers, and supportive for back pain. It could use more edge support, which can be a nuisance rolling off the side of the bed. Type: Hybrid pillow top (Gel memory foam + Innerspring). Construction: The mattress is wrapped in a quilted knit cover. There are five layers to the mattress. The top layer is 1-inch gel-infused memory foam. The second layer is 1-inch comfort foam. The second layer is 1-inch gel memory foam. The fourth layer is 3-inch of comfort foam. The final base layer is 8 inches of 13-gauge individually wrapped coils. Additional info: Five available sizes: Twin XL, Full, Queen, King, California King. 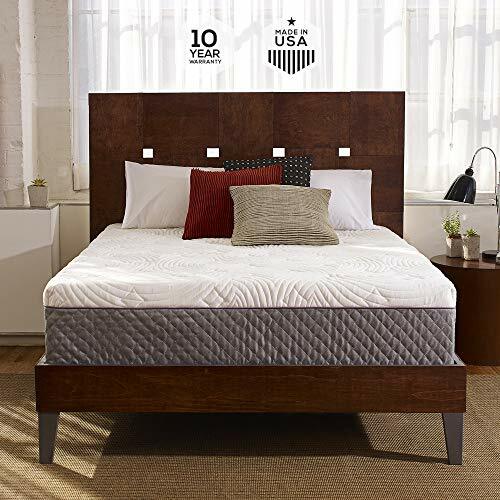 Overall: The Gramercy is an Amazon top choice, with a good amount of value built into the bed. 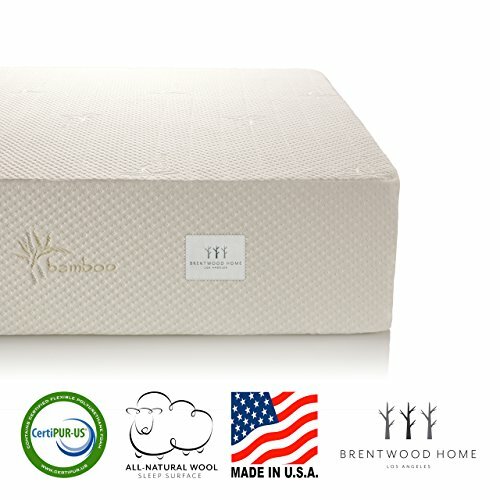 Euro-tops may not be as popular nowadays with memory foam being the go-to choice, but hybrids still do an excellent job providing a unique sleeping experience that relieves pressure (unlike regular foam) while providing a comfortable bounce from innerspring. We do wish there was more edge support for such a thick mattress.